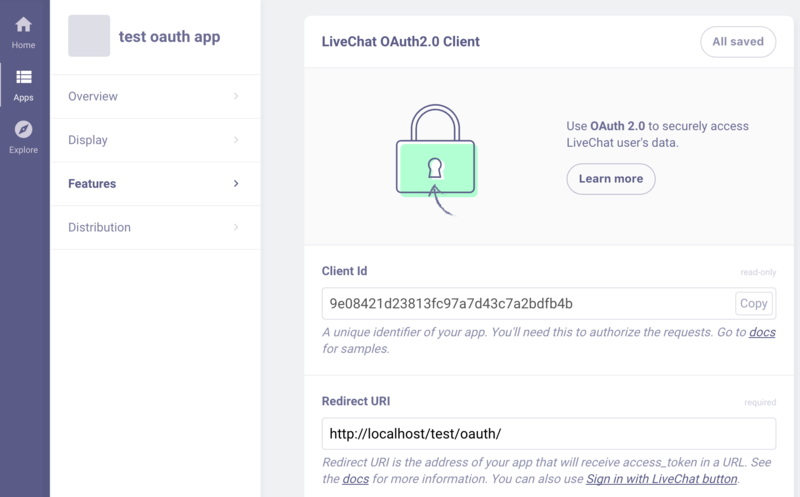 …and all other options supported by the LiveChat REST API. You can create both private (available only to the agents from a given license) and public (available to all LiveChat customers) apps. See screenshots below to whet your appetite! 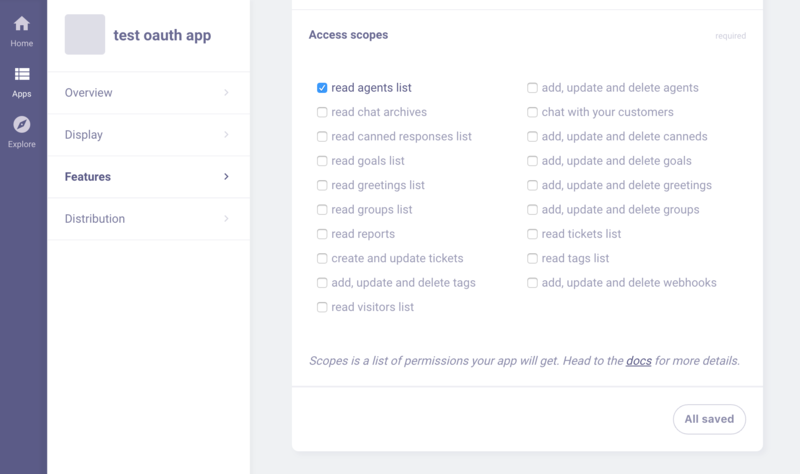 Scopes is a list of permissions that the web application will be granted. Private apps are available to the agents on your license straight away. If you want to make your app public, you have to submit it for review to have it published in the LiveChat Marketplace (coming soon!). 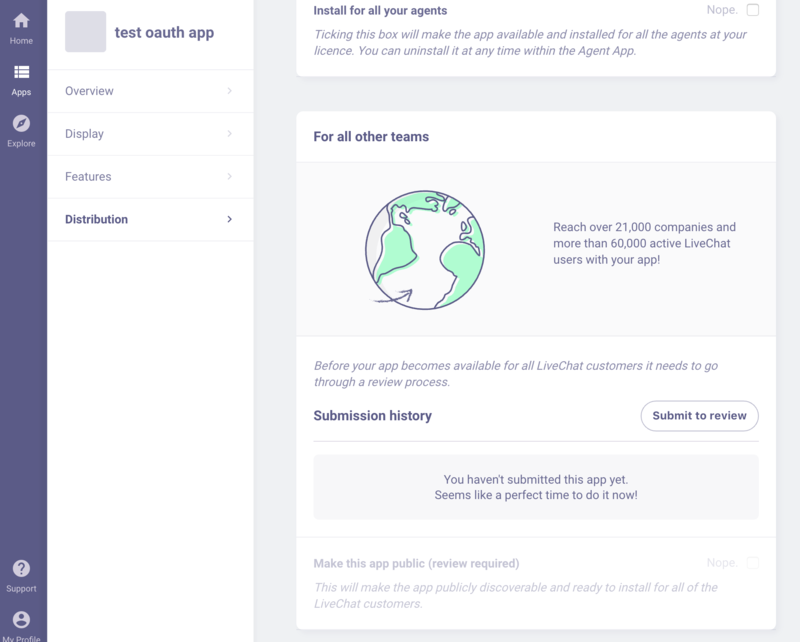 Ready to build your own LiveChat app? See the docs below to get started. Authentication - we officially support two types of authentication: OAuth 2.0 and API keys. Sign in with LiveChat - learn how to create a “Sign in with LiveChat” button to get basic information about the user, such as email and license number. Public web apps - learn all about creating public apps. Private web apps - see how to create a private app. The next step of this release will be the option to create public and private server-side applications. Also, the first version of the Marketplace will be released very soon.